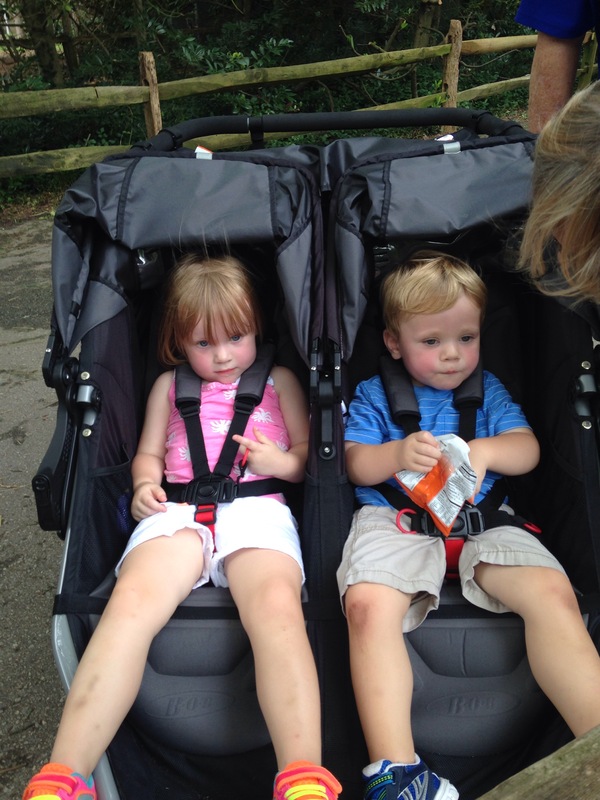 By now you all have realized I am on summer break- which means posts are few and far between and every day is in the hands of my crazy 2 and 3 year old toddlers. We have unsuccessfully tried to potty train, attended weekly craft time at the library, hit up our yearly well checks at the pediatrician, logged A LOT of stroller miles, moved one out of the crib and into a big girl bed (which means no more naps) made day trips to the zoo, watered the plants and garden daily, and will continue to have as much fun as possible before it is the dreaded “back to school time”. 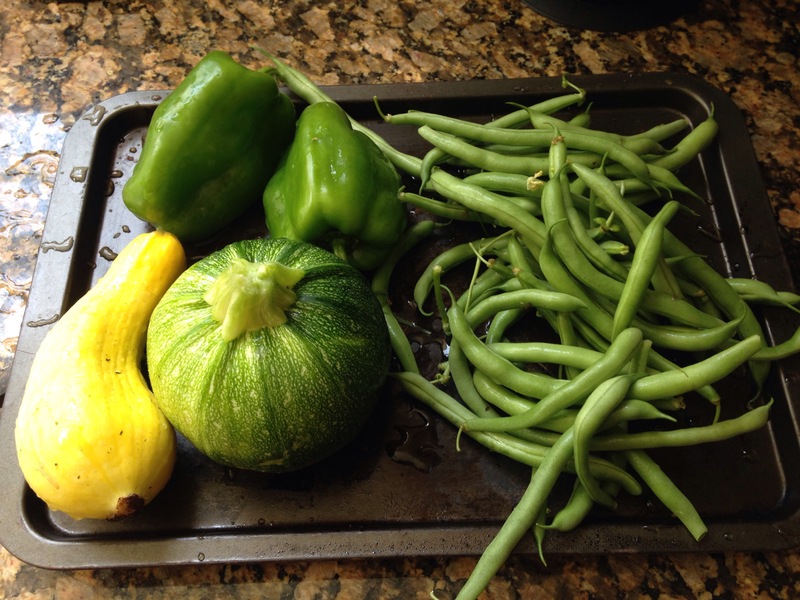 Between the CSA box and my garden, which is producing the crazy round Zuchinni and a never ending crop of green beans, there is never a shortage of vegetables in my house- as well as my moms and my sisters! 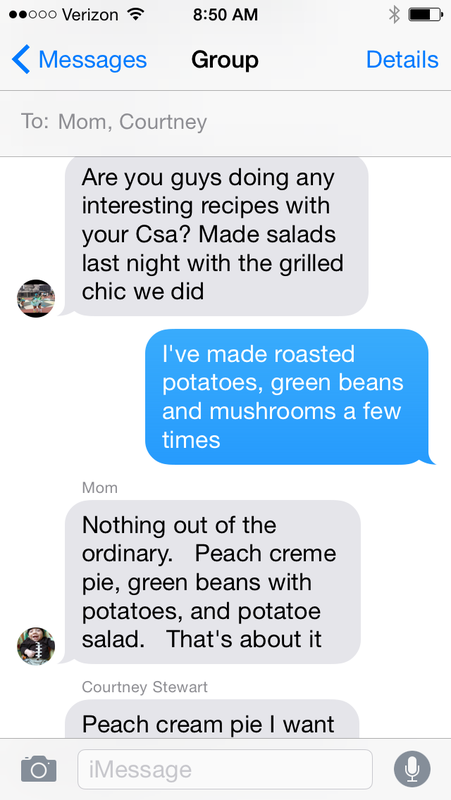 Each night we send a group text between the three of us checking in to see how we are putting our fresh veggies to use. So now you have a look into my nightly group text and you can see the reason why my sister and I would happily move back home again! 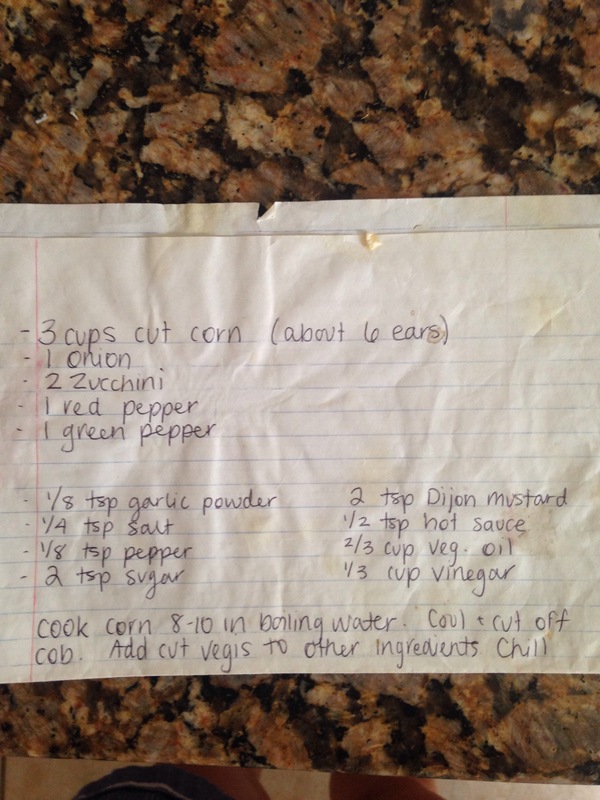 Summer Corn Salad– this is my all time favorite summer recipe! The best part is that you really can throw in any vegetable and it tastes great! 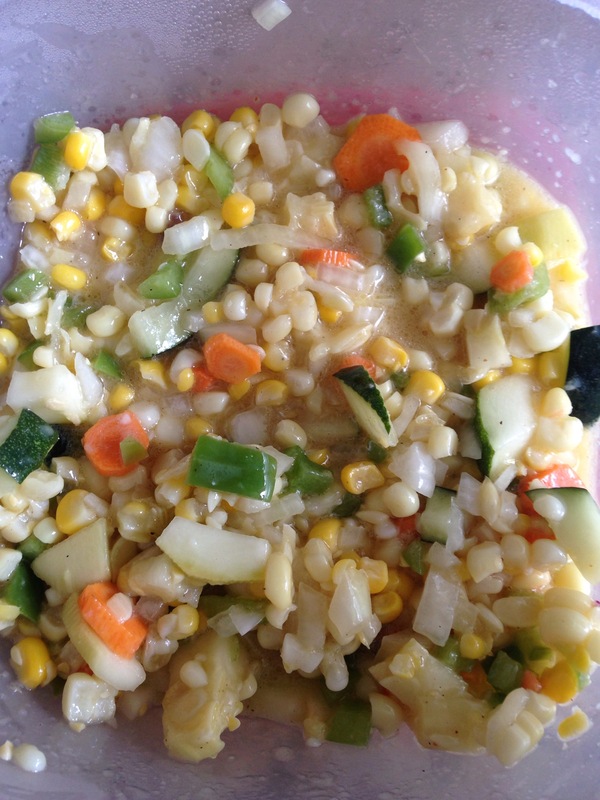 The picture below has carrots, squash, onion, Zucchini, green pepper, and of course loads of corn! This was a crowd favorite at Tanner’s 2nd birthday party! Here is the basic recipie but again add whatever you like! Speaking of Tanner’s party I made this awesome BBQ chicken in the crock pot! So easy and so good! 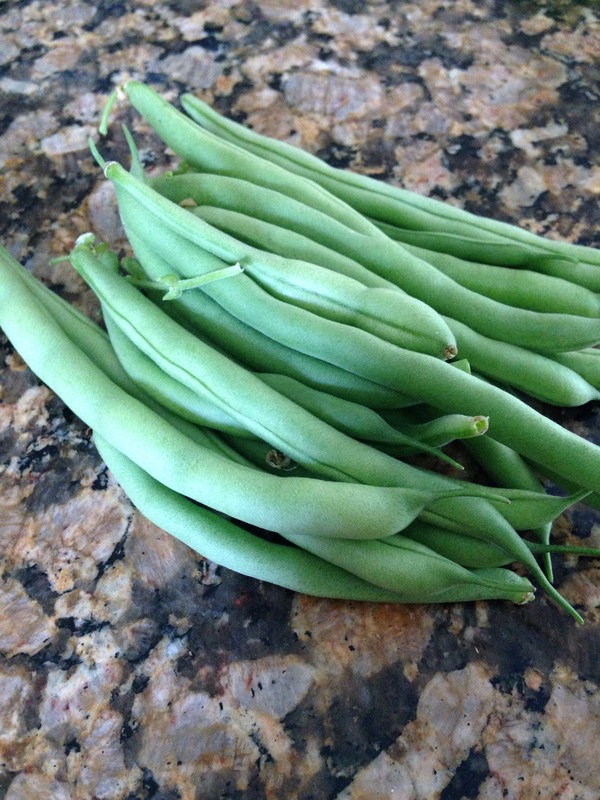 As I mentioned before I have green beans out the wazoo so they have become a nightly staple. 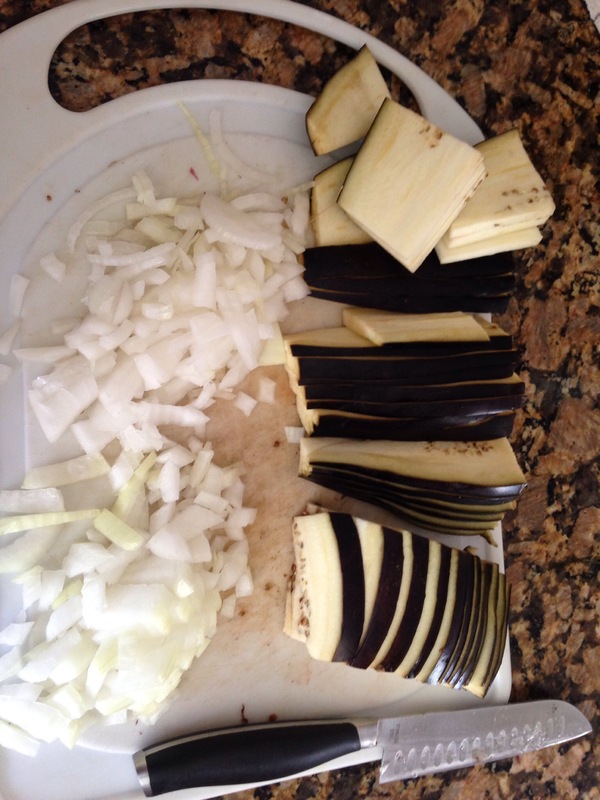 My go to method (mainly to trick my husband I to eating them) is to mix them up with other vegetables I have, mix with olive oil and garlic and bake for 45-50 minutes! Again it’s my kind of dish- easy and tasty! 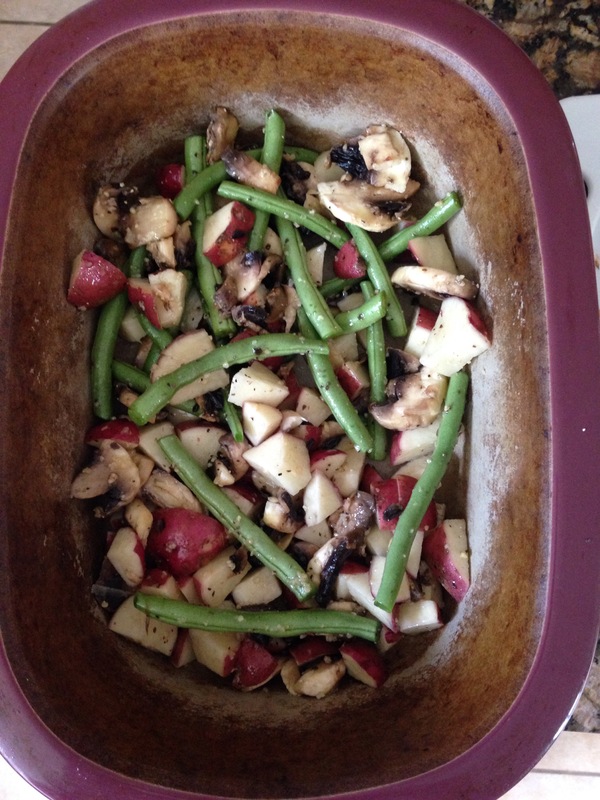 Below is green beans mixed with red potatoes and mushrooms! Eggplant has been hard for me to use this year. I finally found an easy recipe that ended up being super flavorful and bonus–the husband even likes it! I used this recipe here as my guide but decided to top with bread crumbs before baking. The bread crumbs did two things- disguise the vegetables and add a little crunch! The best thing about this recipe was I had all the ingredients on hand! 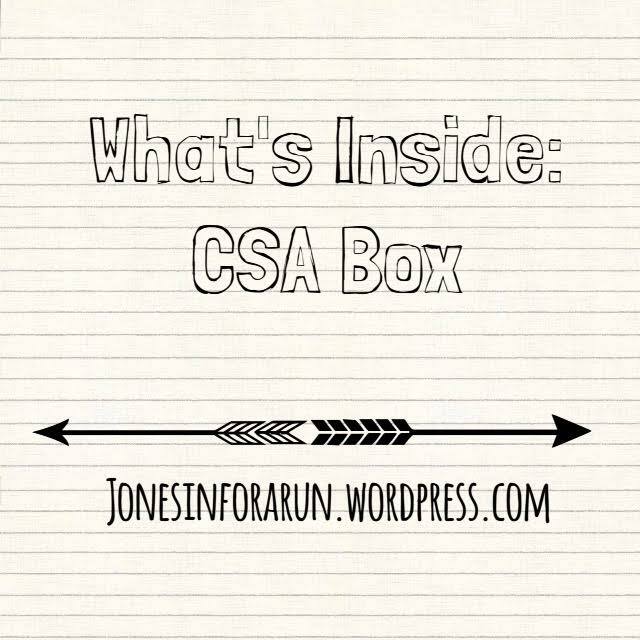 We have also gotten some amazing fruit in our CSA box! The cantaloupe tastes like candy and the peaches are perfect! 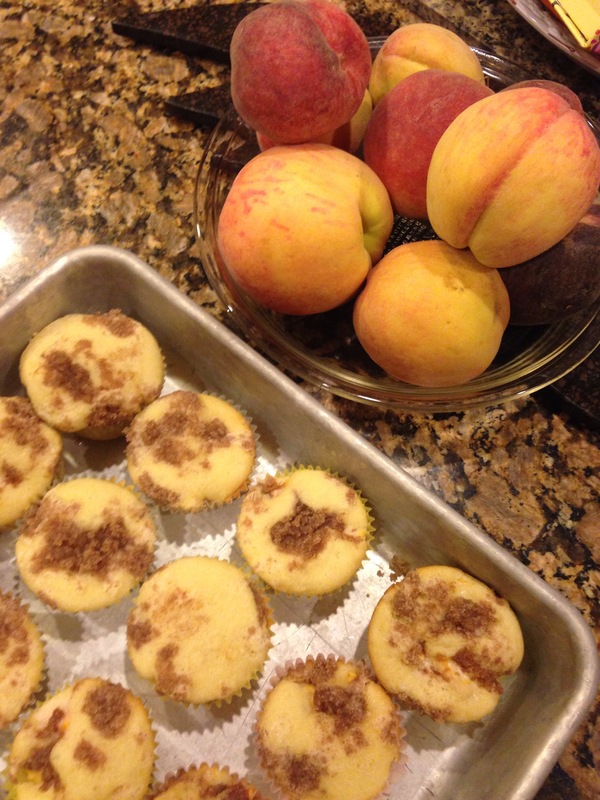 It is always a good day when peach cobbler muffins are on the counter. Last but not least my little chef and I stayed busy yesterday and made some Zucchini brownies. 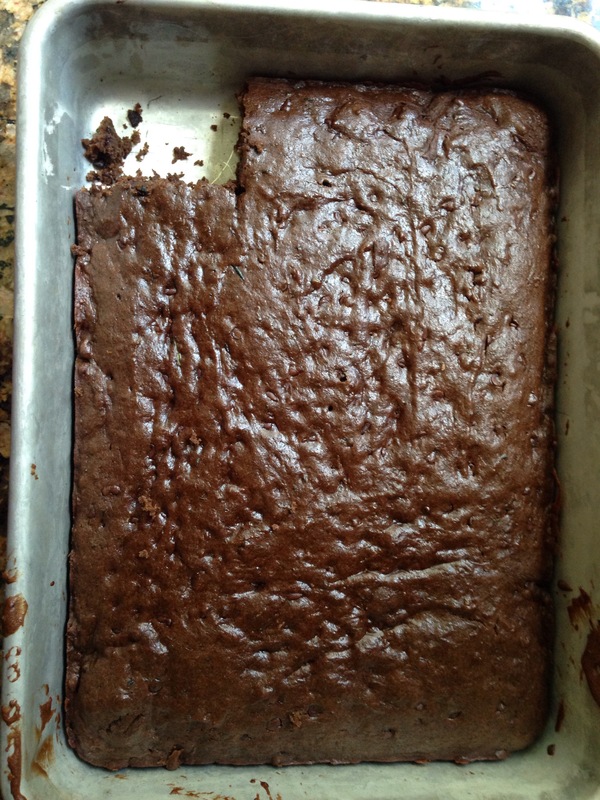 I used my go-to double chocolate Zucchini bread recipe but put in a larger pan to make them “brownies”! 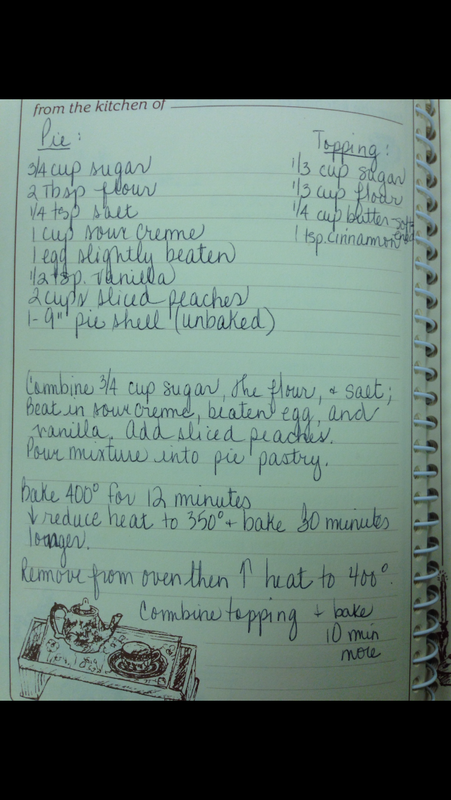 So now the moment you have been waiting for- Peach Pie recipe! Hopefully my mom doesn’t disown me or cut me off from my drop-in and eat all her delicious dinners that happen 3-4 times a week! So there you have it- lots of summer recipe inspiration!